The Jats are a large Indo-Aryan ethnic community dominating the regions of Haryana, Punjab, Uttar Pradesh, Madhya Pradesh, Gujarat and Rajasthan. While the major Jat kingdoms of Bharatpur and Gohad had an impact on the history of the region in northern India, there were other, more minor kingdoms and principalities which came and went in a far shorter timescale. 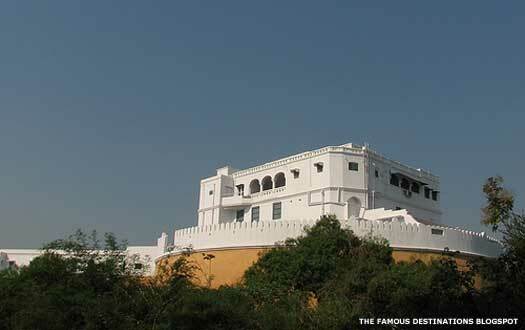 Ballabhgarh was a princely state in present day Haryana state. Its rulers belonged to the Tewatia Jat clan, which migrated from the village of Janauli in 1705 and settled in Sihi, five kilometres (about three miles) from Ballabhgarh itself. After the death of Moghul Emperor Aurangzeb, Gopal Singh establishes his power in areas around Delhi and Mathura. He enters into a treaty with the Moghuls and becomes Chaudhary of Faridabad Pargana. Son. Rebelled against the Moghuls and was arrested. Son. Brother-in-law of Surajmal of Bharatpur. Balram Singh successfully fights the Moghuls along with Surajmal of Bharatpur. He is killed by one Akvitmahmud in 1753. Son. Born 1823. Executed during the Great Sepoy Rebellion. Ruler of a hundred and one villages, Nahar Singh is hanged after fighting against the British East India Company during the Indian Mutiny (otherwise known as the Great Sepoy Rebellion, or even the First War of Independence). His state is subsumed within Company territory. Kuchesar was a princely state in Uttar Pradesh, barely eighty kilometres from Delhi. Its rulers belonged to the Dalal Jat clan. Its patriarch was one Dalle, son of Dhanna Rai (the other sons being Deswal and Maan - all three founded different clans), of Silauti village (Rohtak, in Haryana state). One of Dalle's descendants was a man by the name of Bhual who first constructed a mud fort in Kuchesar, along with his brothers, Jagram, Jamal, Gurva. Son of Dhanna Rai. Patriarch. Chatar Singh acquires a large estate after serving under Mirza Ali Beg, a Muslim overlord of Chitsauna. Rao Mangiram and his brother, Ramdhan, serve the Bharatpur kings as well as the wazir of Delhi, Najibudaulla. Najibuddaulla officially confers on them the jagir (estate) of Kuchesar with the title 'rao'. These sons help Jawahar Singh of Bharatpur in sacking Delhi, but later side with the Delhi wazir again. As a result they are imprisoned. They escape and with Maratha help recapture Kuchesar (in 1782). Ramdhan acquires Pooth, Siana, and Thana Farid. He also acquires Datyane and Saidpur on lease from the Moghuls in 1790.This lease is confirmed by the British in 1807. During the Indian Mutiny (otherwise known as the Great Sepoy Rebellion, or even the First War of Independence), Rao Gulab Singh fights against the rebels. Wife. Managed the estate after her husband's death. Following the death of Bhup Kumari, there are no direct male heirs to take control of the estate. Instead, possession of the estate is disputed, with Kushal Singh (widow of Bhup Kumari and nephew of Nahar Singh of Ballabhgarh) being one of the claimants. The Khap Panchatat (local village judicial body) intervenes and divides the property three ways. Thirty-four per cent of it goes to Umar Singh, while Khushal Singh and Pratap Singh each gain thirty-three per cent. This makes Umar Singh the senior member of the family. 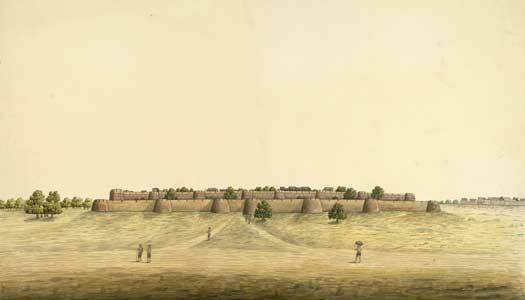 Mursan was a small Jat princely fiefdom in Hathras (within modern Uttar Pradesh) which was ruled by the Thenua Jats. Its most famous ruler was Raja Mahendra Pratap (1886-1979) who was a writer, journalist, freedom fighter and social reformer. He was also known as the 'Aryan Peshwa'. He was the third son of Raja Ghanshhyam Singh and was adopted by Raja Harnarayan Singh of Hathras. He married a princess from the Jind princely state. The dominion of India is formed on 15 August 1947 following the official handover of power by the British. The Jat kingdoms are subsumed within the republic and their rulers left with just their titles.